Finding an appropriate office space to rent for a law firm, or any type of business for that matter, can be extremely challenging and even a little intimidating. 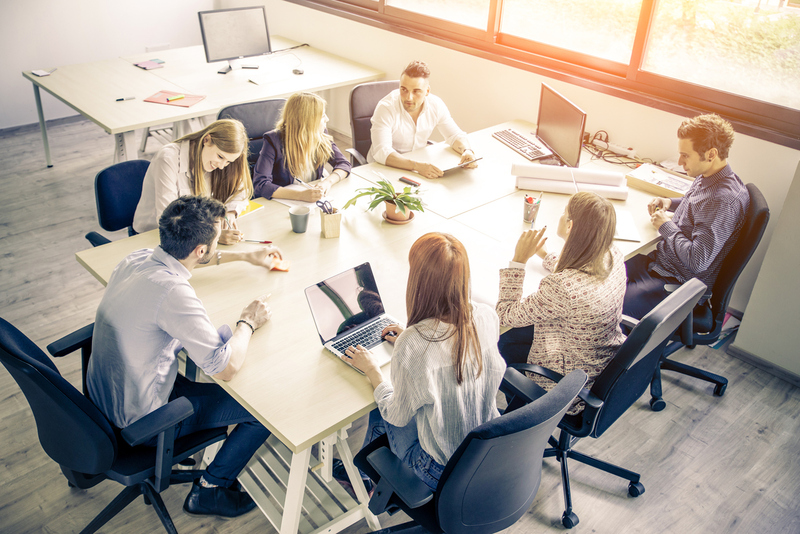 Considering the cost, not to mention the immense amount of potential risk involved with running your own business, it’s understandable that some companies might be a little hesitant when it comes to renting office space. Despite this, office space rentals offer numerous merits that purchasing a private office or working remotely from home simply can’t deliver. It allows you to work in a professional environment and meet with clients in a private, secure setting. Plus, you can come and go as you please and you don’t need to worry about hiring administrative or IT staff because they come as part of a package deal. Why Are Office Space Rentals Useful for Lawyers? The main reason that office space rentals are so attractive to lawyers who are just starting out is because they’re inexpensive and can help save money for new firms. Rented office spaces are typically centrally located in major cities and this makes it a lot easier for clients and employees to access them. Since lawyers need to be available pretty much 24/7 to meet with their clients, colleagues, and opposing legal teams to work on cases, it’s necessary for them to have a space that offers unlimited availability. In addition to needing a space that’s accommodating and easy to work in, lawyers also need an office space that can make their clients feel comfortable and safe enough to discuss sensitive information. Complete with a kitchenette, welcoming reception area, and stunning furnishings, modern office space rentals are the perfect alternative to conducting business in public places or expensive purchased meeting rooms. If you’re one of those lawyers that’s always on the go and travelling from one location to another for meetings or hearings, then you probably don’t need a lot of permanent office space. Renting a meeting space from time to time might suffice to help you conduct your regular business and meet with clients or other lawyers. Some lawyers can even get by on renting a virtual office space that offers them the convenience of having an administrative staff answering their phone calls and receiving important packages or mail correspondences for them. If this is something you can relate to, then renting a virtual office space might be the right solution for you. The benefit of this is that you can still take advantage of executive day offices and meeting rooms and boardrooms whenever you want, and you can even use its location as your official business address whenever you need to use it without any binding obligations. Renting all-inclusive executive office suites gives you the best of both worlds with private meeting rooms and office spaces that allow you to conduct depositions and client meetings. All-inclusive means just that. You’ll have an exclusive mail receiving service along with a completely trained administrative staff that’s dedicated to your business. On top of that, you’ll also have access to state-of-the-art office equipment including printers, projector screens, video conference calling devices, fax machines, computers, peripheral accessories, and so much more. As a professional office space rental, you’ll also have 24/7 access to the facilities you’re paying for, which gives you the option of constantly being available to your clients and making sure that you can work efficiently on their behalf. By using an office space rental service like Innovative Professional Offices, you’ll have everything you need to make sure you can work diligently on your clients’ cases and make them feel as comfortable as possible throughout the entire process of working on their case. Regardless of the size of your law firm, you can most certainly find the right professional office space to suit all of your needs. The best part is that you can cut some expenses by not having to rent any office equipment because it’s all provided for you. Rental office spaces offer complete security services, which means you can always feel safe storing sensitive files in your rented office space and your employees will always have a support system backing them up if they need it. Innovative Professional Offices is one of the leading office space rental services throughout North America. We have clients coming in from all over the world for short-term or long-term office space rentals. Considering we have an extremely diverse client base from small and large businesses to lawyers and real estate businesses, we’re able to accommodate an extremely wide range of clientele. We’re always thinking of innovative ways to improve our services based on the specific needs of our individual clients and accept any feedback that we receive from people who’ve rented office space from us before. To schedule an exclusive tour of our facilities or learn more about the services we offer, please feel free to contact us.